College basketball is heading down the home stretch, college baseball has started, but let’s not forget (I know many of you aren’t) that spring practice is already getting underway across the country. 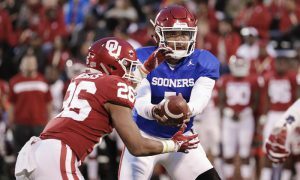 We will handle spring previews for every Big 12 football team and roll them out based on when their respective spring practices begin. 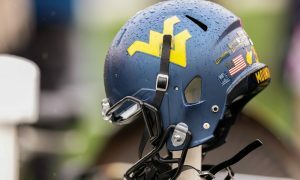 Next up are the West Virginia Mountaineers who started spring practice this week in Morgantown. With a new coaching staff in town, plus so many offensive weapons gone, McKoy is the lone offensive returnee who has produced at a high level. 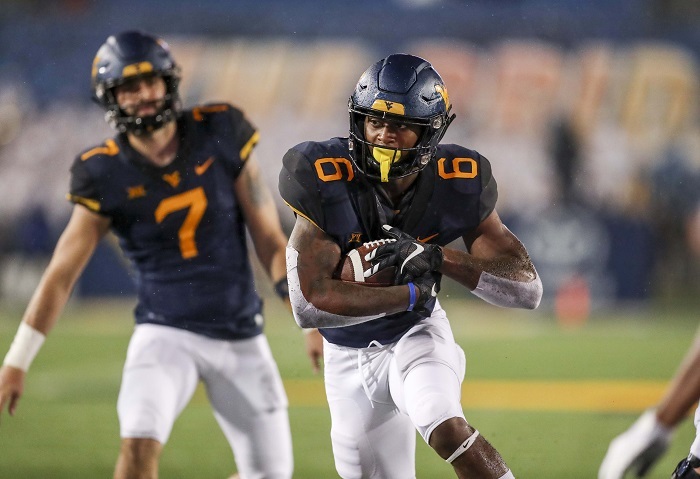 Will Grier, David Sills and Gary Jennings are all heading to the NFL, so it’s McKoy, who finished eighth in the Big 12 with 70 rushing yards per game, who will be expected to carry more of the load. His 5.6 yards per carry was top 5 in the conference. 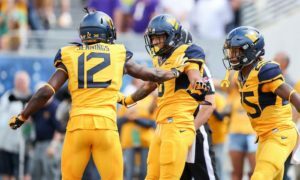 Also, the running game could have more of an emphasis under Neal Brown than it did under Dana Holgorsen. The Troy Trojans threw for 2,400 yards last season, while running for 2,100. If that is the case, then McKoy could be the workhorse for this team out of the backfield. Miller was a top 10 JUCO player in the Class of 2019 and the No. 3 JUCO cornerback. 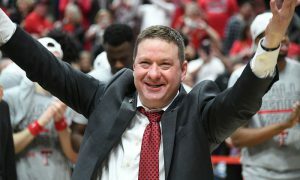 He was at Eastern Arizona College and picked the Mountaineers over offers from Texas A&M, LSU, Houston, Kentucky and others. He was named All-WSFL All-League and All-Region last season. Miller should give a nice boost to the strongest unit on the defensive side of the ball, and arguably the team, in the secondary. In the Big 12, it’s never a bad thing to have a strong secondary. This team ranked seventh in team pass defense last season, while ranking sixth in pass defense efficiency, so any chance to improve those numbers and rankings are always welcomed. 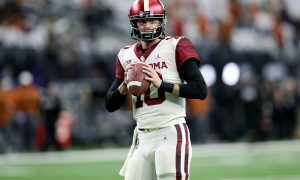 It’s time to see if Austin Kendall is ready to live up to the hype after “controversially” transferring from the Oklahoma Sooners this offseason. 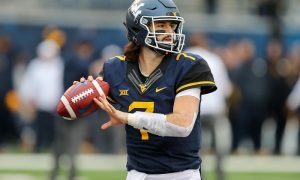 Kendall was a highly-touted four-star prospect and comes to Morgantown planning to take over for Will Grier. But Kendall has not played consistently since high school in North Carolina back in 2015. 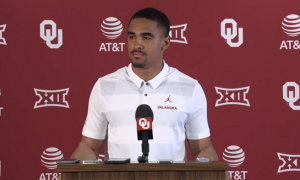 He redshirted at OU in 2017 and played sparingly in 2016 and 2018. He was a top 100 prospect in the Class of 2016, but we’ll need to see how much rust needs to be knocked off. That’s what spring ball is good for. 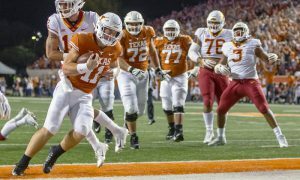 Jack Allison is still with the program, however he was far from impressive in his limited appearances last year after transferring from Miami. He played in seven games and completed 23 of 45 passes for 352 yards with 352 yards and one touchdown. In the Camping World Bowl he went 27 of 35 for 277 yards. Trent Jackson and Trey Lowe III both redshirted last season, but Lowe is considered the more likely to play, as he saw some action in the Camping World Bowl last season. When you lose the Big 12 Defensive Player of the Year in David Long, it’s a huge setback for the unit. That’s where the Mountaineers are at linebacker. There is reason for optimism based on the talent the unit has, but who steps up as the leader with the loss of Long? Is it Shea Campbell? Dylan Tonkery? Campbell played in 11 games last season and started six at linebacker, finishing with 40 tackles and was second in the team with 10 tackles and had one sack in the Camping World Bowl. Tonkery was fourth on the team with six tackles for loss last season, but missed six of last seven games with an injury. Speaking of injuries, Charlie Benton came in with a lot of hype last season from Butler Community College, but suffered a season-ending knee injury in the opener against Tennessee. Also, Brendan Ferns missed the first eight games of the the season with injury. Spring will be a chance to see where exactly these players, who all have high ceilings, stand on the health front and what it means for summer ball and eventually the 2018 season.